Ten days in Detroit provided me with some more insights into how the city works and what lies behind recent changes. Many conversations yielded deep insights, but also puzzled me with further questions and issues around the role of planners in processes of urban change and renewal. Time to wrap up some still preliminary and unfinished ideas. This entry was posted in English, Raumplanung, Research and tagged Detroit, Planning, Raumentwicklung, United States on 6. August 2018 by Christian Lamker. 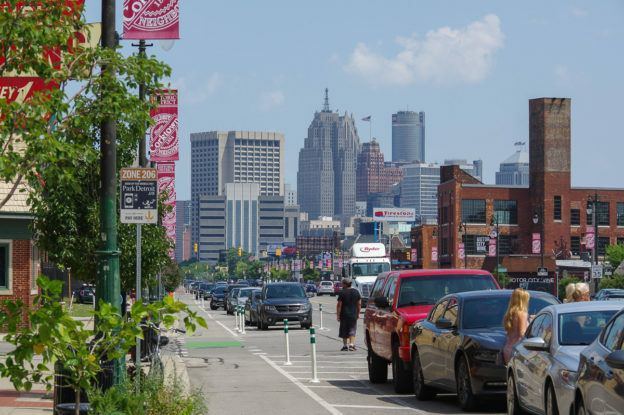 The last four days between Thursday and Monday provided many experiences and insights into different parts of Detroit, its ongoing changes and its people. Not enough for any concluding thoughts, but just enough for some ideas. The following paragraphs are therefore some unorganized impressions that are preliminary, might change during the next weeks and themselves include more questions than answers. This entry was posted in Allgemein, English, Raumplanung, Research and tagged Detroit, Planning, Raumentwicklung, Reise, United States on 30. July 2018 by Christian Lamker. The question how planning research can be accessed and used as well as how collaboration between researchers and practitioners in urban planning works or can work is as important as ever – and potentially even more important given new and urgent global challenges. During my time as a Visiting Research Fellow of RMIT University, Centre for Urban Research, in Melbourne last year, I came across the work of Joe Hurley and Elizabeth Taylor in Australia (titled ‘Not a lot of people read that stuff’; see references below). 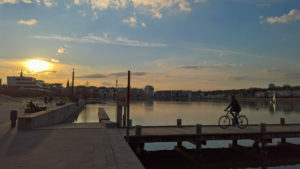 We got to talk about their work and my work as a member in the working group ‘Mind the Gap – Cooperation and Self-Images in Spatial Planning‘ within the German Academy for Spatial Research and Planning (ARL). We saw both, large overlaps and striking differences. The idea emerged to go deeper in comparing our work and to look across our different planning contexts. We developed a simple structure along the three challenges of access, use and collaboration to structure our thoughts. A first list of ideas was the starting point for discussions about a short article on our insights. As it happens, we ran across Libby Porter who is responsible for the Interface section of Planning Theory & Practice. The idea was born to go deeper into work and accept the challenge of inviting both, practitioners and researchers, to comment on our ideas and to join our work. We got Dominic Stead, Meike Hellmich/Linda Lange, Helen Rowe, Sonja Beeck, Peter Phibbs and Ann Forsyth to buy in into our joint challenge. Our aim was not only to talk about practice, but involve practitioners as authors within the Interface. The work began in May 2015 right before I left Melbourne. It continued to be a highly challenging endeavour for all of us involved. Luckily, we managed to keep the schedule and finish the work in April 2016. It took many loops of changes, of adjusting, of discussing and of mutual learning before completion. Finally, we added more ideas on an international perspective about the exchange between researchers and practitioners and an international practice. Ideas that emerged during our work. 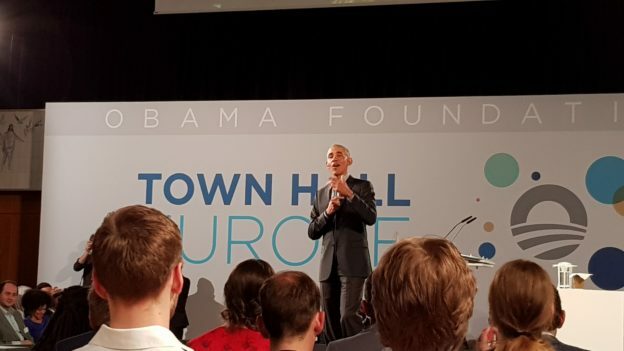 It was helpful for us to have a very simple framework that was actually the first idea and starting point we had: to focus along the three challenges of access, use and collaboration (roughly in accelerating order). Even these simple terms turned out to mean quite different things for all people involved. We did not go deeper into aspects of evaluating research outputs and impacts – there is a newly emerging discussion in Australia to encompass broader impacts in addition to traditional academic output. German planning research institutes also look for new ways of analysing their research impacts and its ‘use’ for society. The term transdisciplinary is ever-present, and important focus point for many discussion on future planning research. For us, there was a common interest of both, researchers and practitioners, to have at least some research done that looks beyond direct impacts in practice and questions actions and beliefs on a broader level. Distinguishing between research and investigation (as Ann Forsyth does in our Interface) might help to leave space for both, without confusing different roles of researchers. It would be especially worthwhile to think about further ways to foster more international exchange in practice. There is still a lot of underused potential for engagement beyond a narrow or local approach. Social media platforms might be an important key for they are easily accessible, allow for exchanging preliminary ideas and support a fast exchange of knowledge across different contexts. A basis for this need to give special regard to differences in language, working cultures, technical and legal requirements as well as personal attitudes towards planning work of all those involved. I do personally think that many planners have too much fear (of politicians, of the public, of their managers etc.) to engage in open talks about really different options and ways of planning, so it would be good getting more ideas how to work with these practical realities. It would be wonderful to take part in further discussions around the topic of research-practitioner exchange and in looking beyond national borders (towards a more international practice) and beyond traditional methods and vehicles (towards both more use of social media platforms and more routinized forums for exchange outside daily practice). There is still a lot to discover, to try and to learn. Thanks to everyone involved during the year of work on this joint project that! This entry was posted in Allgemein, English, Raumplanung, Research and tagged Australia, Australien, Forschung, Forschungsansatz, Methodik, Planning, Raumplanung on 15. July 2016 by Christian Lamker. Professor Robin Goodman of RMIT University, School of Global Urban and Social Studies, Melbourne, will give a public lecture on “challenges for effective planning of Australian cities” in Dortmund on Monday, 20 June 2016 as part of a Study Tour with RMIT students to Germany. The group will make different site visits within the Ruhr region between 20 and 24 June before heading further towards Berlin. I am happy to be part of their visit after my time at the Centre for Urban Research of RMIT University last year. The public lecture will be part of the Institute of Spatial Planning’s Research Colloquium (FOKO) in the Rudolf-Chaudoire-Pavillon (TU Dortmund, Campus South, Baroper Str. 297). It is open to everyone. Beginning is 6:00pm on 20 June 2016. Further information will be announced online. 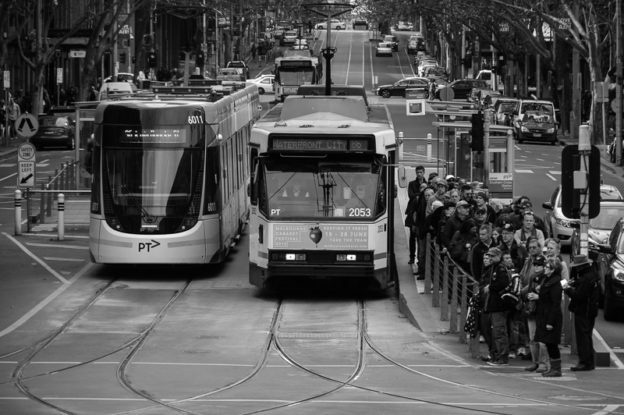 Australian cities face many of the same issues encountered by cities the world over. The challenges of providing affordable housing, an efficient transport system and liveable neighbourhoods are widely shared across the globe. However Australian cities have some marked differences with many European cities, with very low density urban sprawl, car dependency and high population growth rates. 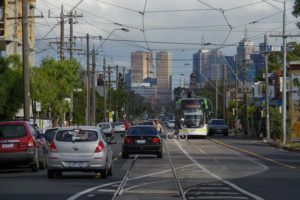 The pressures on the largest cities – Melbourne and Sydney in particular – have drawn planning issues to the attention of governments at every level. Much is now being demanded of planning, yet decades of neoliberal attitudes to market intervention have undermined its ability to deliver. Professor Robin Goodman will outline these issues in her talk and explain why the biggest problem in Australian planning is failure to implement our plans. Robin Goodman is Professor of Sustainability and Urban Planning and Deputy Dean in the School of Global Urban and Social Studies at RMIT University in Melbourne, Australia. Robin has published widely on issues around planning, public policy, sustainability and housing. She is co-author of a book to be published in July 2016 Planning Melbourne – Lessons for a Sustainable City. This entry was posted in English, Raumplanung and tagged Australia, Lecture, Planning on 1. June 2016 by Christian Lamker.